Ireland hit back following their defeat to England with a 22-13 victory over Scotland in a pulsating Six Nations showdown at Murrayfield on Saturday. Conor Murray capitalised on a mix-up between Tommy Seymour and Sean Maitland to score the opening try after Greig Laidlaw put Gregor Townsend's side in front, while Jacob Stockdale added a second for the visitors. 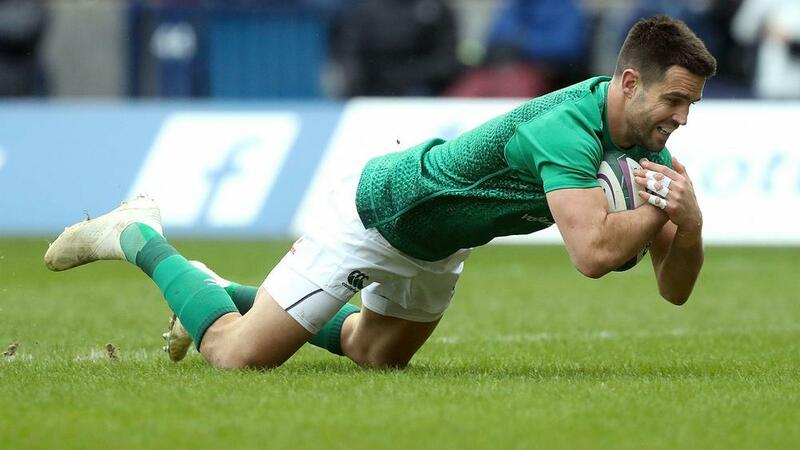 Joe Schmidt's men were not to be denied a fifth win in Six Nations matches against Scotland, though, with Joey Carbery - who had replaced Sexton - laying on a try for Keith Earls and also scoring five points with the boot. Laidlaw added another penalty midway through the second half, but that was all Scotland were able to muster after the break as they failed to build on an opening win over Italy.